Rollerblade Evo Gear 3 pack biedt goede bescherming tijdens het skaten. Evo Gear 3 Pack is a high quality set of protective gear designed for all levels of skaters who want more protection and breathability. Skating can be unpredictable depending on where one is skating and even better skaters can feel safer and a little more confident when using Evo gear. It is designed for the experienced skater in mind to be sleek, slim fitting and full of great features to make skating more enjoyable and safer. Beginners also like them because of the features and extra security and breathabilty they offer. 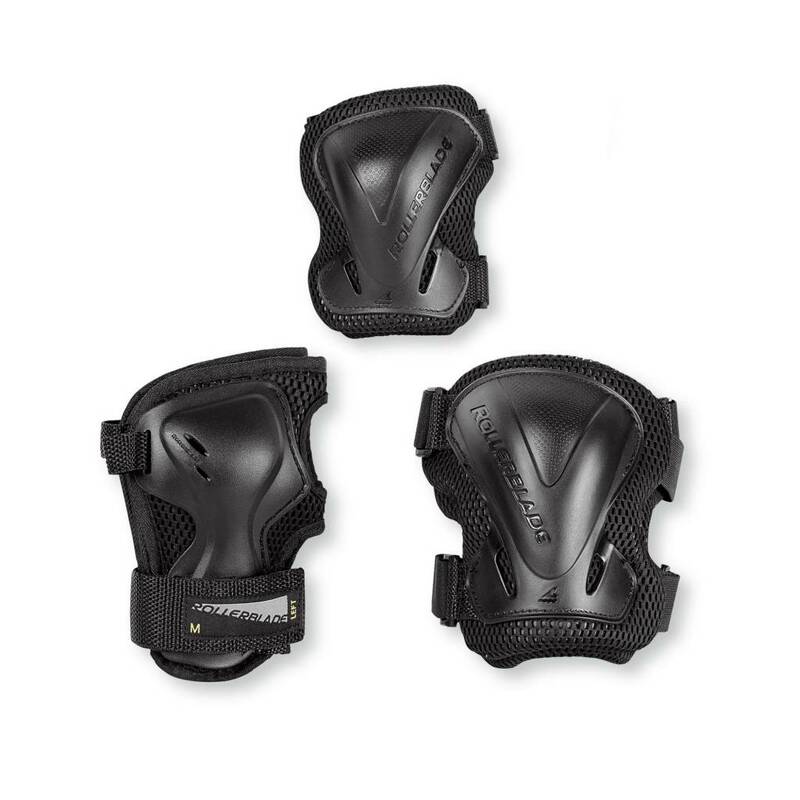 Ideal for any type of training or casual skate session, the pads are right/left anatomically designed and the protective caps are also shaped to comfortably protect the body with a slim fit. The Coolmax lining keeps skaters cool on the hotter skate days or when they are pushing themselves a little harder. 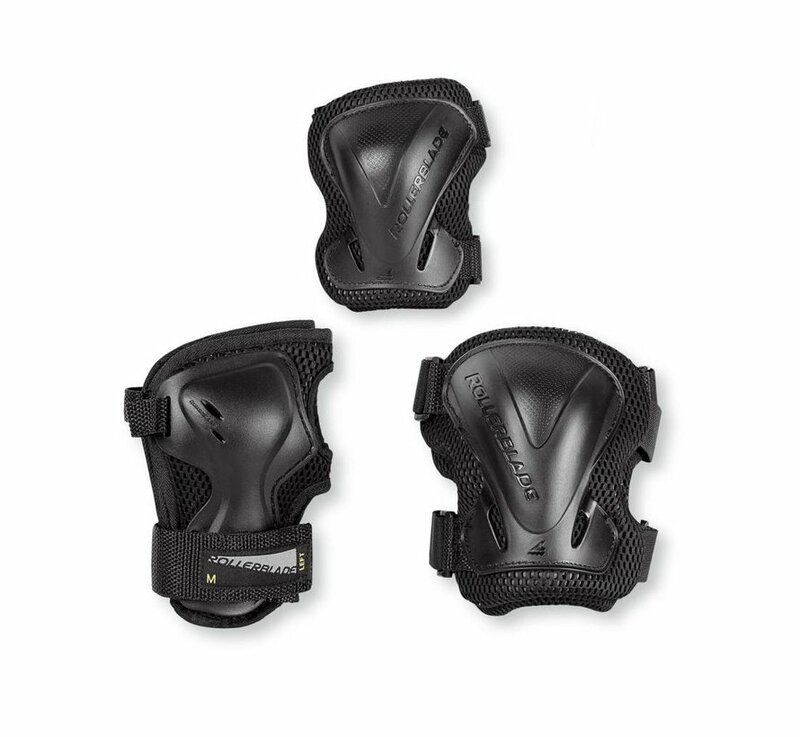 The durable, high quality construction, fit and protection make this a great upgrade from the entry level pads for all skaters. The 3 pack includes a pair of wristguards, knee pads and elbow pads packaged nicely in a reusable mesh bag.